Spectators sip on mint juleps in their hats that are adorned with ribbons and spring blooms. The bells sound and 20 thoroughbreds erupt from their respective gates at top speeds. For the next 1.5 miles, everyone will be on the edge of their seat and holding their breath to see who makes it across the finish line first. It is considered the most exciting 2 minutes in sports. As the fastest horse crosses the threshold to become the champion, the crowd erupts in cheers. The horse and its jockey make their way to the winner’s circle where a garland of roses is draped over its neck. It ran for the roses – and won. 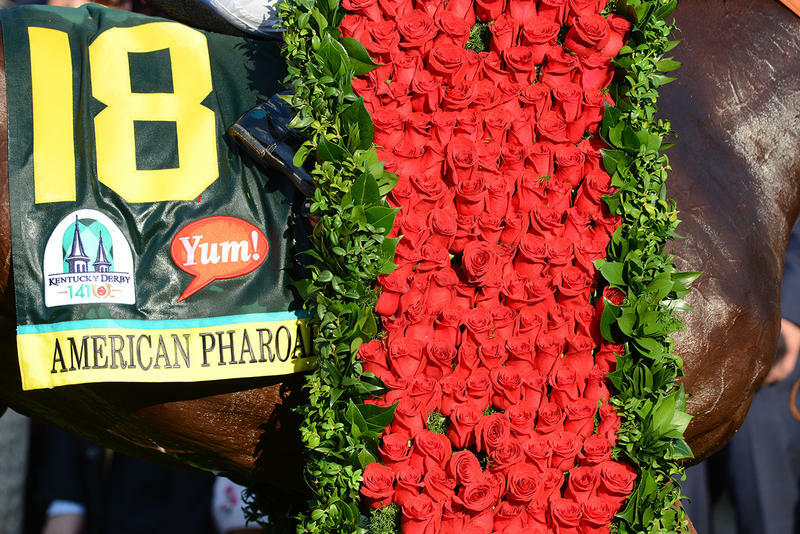 When you see that elegant blanket of roses being handed off to the strong thoroughbred, you might think that they’re not real because it is so beautiful! The deep red blooms blanket the young horse after their victory while the jockey hoists an enormous trophy over their head. This blanket of roses dates back to 1896, and continues to this day. In 1925, columnist and former Churchill Downs president Bill Corum coined the phrase “Run for the Roses” in reference to the Kentucky Derby. The garland of blooms is made up of more than 400 fresh red roses that are hand sewn to a green silk backing by Kroger Master Florists. Each rose is hand-selected from over 7,000 red roses. It takes nearly 7 hours to apply the roses to the backing that is then adorned with the commonwealth seal. The famous garland is 122-inches long, 22-inches wide, and weighs nearly 40 pounds. 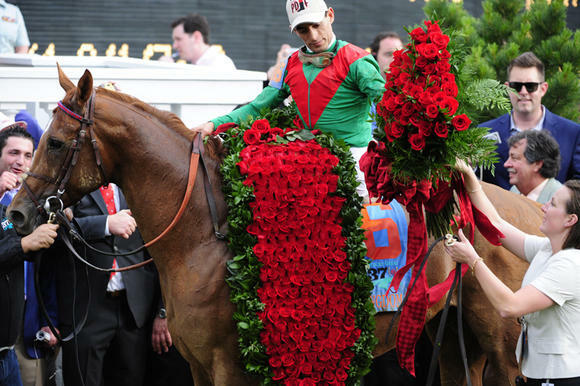 In 1904, the red rose became the official flower of the Kentucky Derby, and this is no surprise. Red roses are often associated with being traditional and classic, much like the race that takes place every year at Churchill Downs. 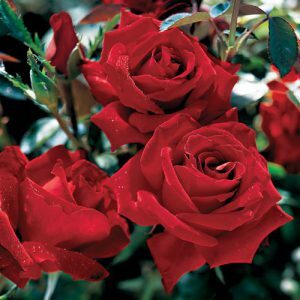 Although you might not be able to recreate the blanket of roses in your garden, you can grow beautiful red roses such as ‘Beloved‘! With our Cocktail Herbs Garden Jar, you can grow your own mint for Mint Juleps! So sit back, put on your biggest hat, and watch the Run for the Roses! 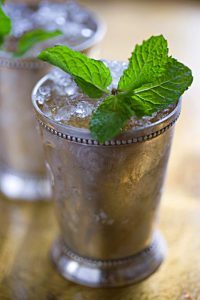 In a cocktail shaker combine sugar and mint leaves; crush mint with the back of a spoon or muddler. Add bourbon and ice cubes; cover and shake until sugar is dissolved and drink is very cold. Fill an 8-ounce glass with crushed ice. Strain liquid into glass. Garnish with mint sprigs and enjoy!